This post is in response to Susannah Conway’s April Love 2018 prompt for today: Smile. It took me a while to figure out which way to go with this one. I have plenty of photographs of smiles, but they involve family members who don’t want to be on the blog (or whose parents don’t want them on the blog). I seriously considered cropping down to the smiles to present a collection of smiles without giving away the faces. That turned out to be really weird. And then there is the selfie option. I was out in the woods this morning, enjoying the songs of the birds and the wind, my hair blowing around like crazy, when I took this photo. 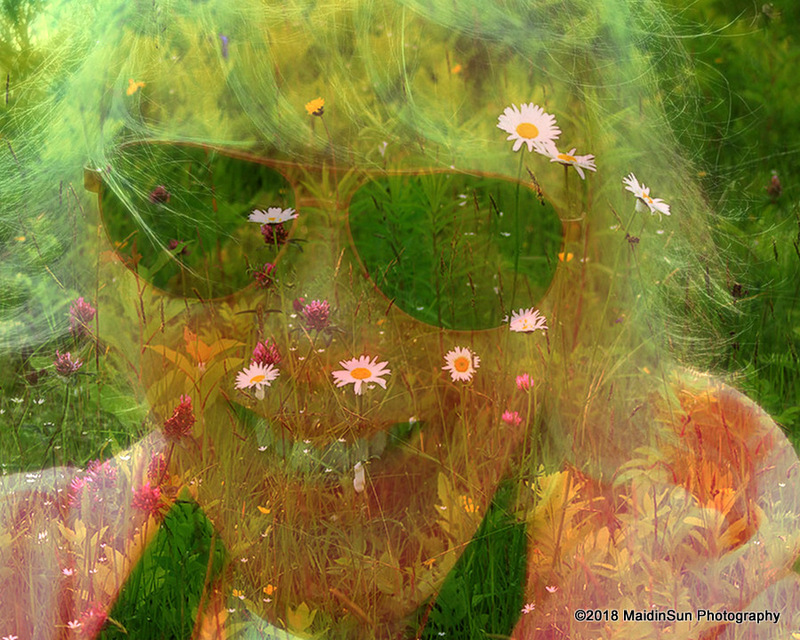 I am, of course, hiding behind a double exposure in which I combined the image of the wildflowers (“I walked the paths…”) and the selfie I took this morning. Coming out from behind the double exposure. I am not sure my smile immensely increases the beauty of the universe, but it is one smile. A genuine smile brought on by a walk in the woods and a dance with the blustery wind. Blustery days are another one of those things that often makes me smile (especially if, like today, it’s neither too cold nor too hot outside). 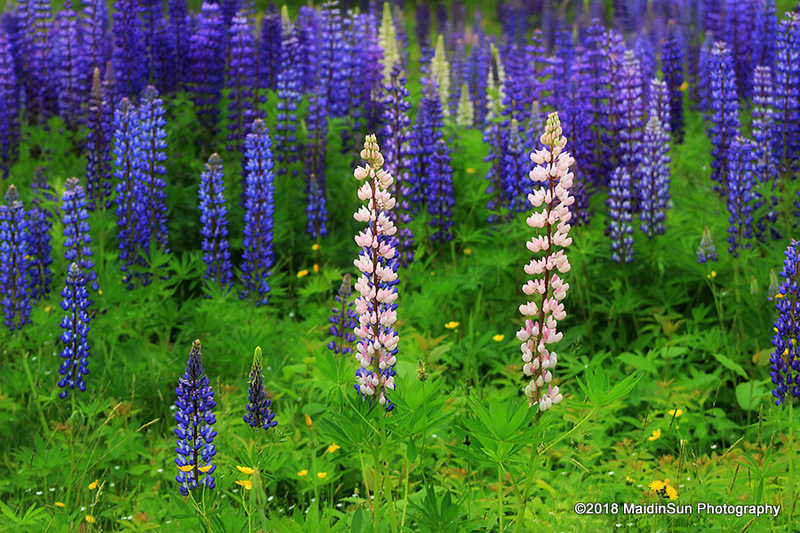 As long as I’m showing you things that make me smile, here’s another of the bazillion photos I took of the lupines while I was in Bremen, Maine last year. A few of the 10,000 things that make me happy: 616) Smiles, of course! 617) Listening to the interaction and weaving of the spring birdsong and the wind. 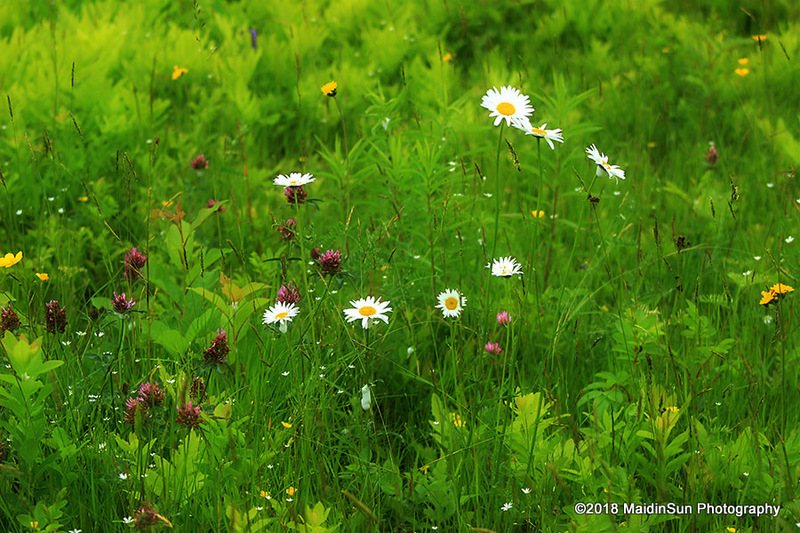 618) Daisies and other wildflowers. 619) Walks in the woods. 620) Notes from friends. P.S. Looks like WP Photo Challenge this week is also Smile. Birdsong definitely makes me smile, and standing in my flower garden surrounded by the humming of bees, hummingbirds and butterflies on a warm summer day. Heavenly! 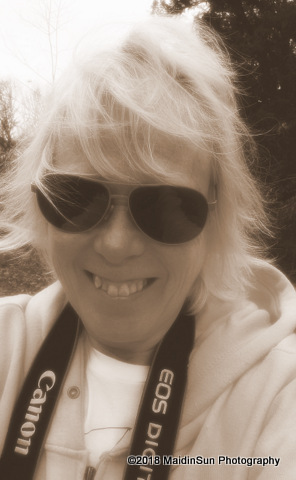 On this cloudy spring afternoon your “Smile” brightened my day…just reading the words, “a walk in the woods” makes me happy…thank you for sharing! Thank you, Kathy. 🙂 That sounds like a wonderful dream to me. I’ve always thought they look like they’re giggling when a breeze comes along and tickles them into dancing. your smile does indeed. Flowers make me smile!!! Well, for starters, you just made me smile. My furry girl, Shasta, makes me smile with her excitement if I’ve left her home alone and then return, or suggest we go for a walk, or a car ride. The antics of the little wild critters outside – squirrels, tree and ground varieties, chipmunks, jackrabbit, birds, occasionally deer, that appear outside my window make me smile. The song and beauty of the birds makes me smile. Someone else doing the spring cleanup in my yard makes me smile. Daisies seem to be smiling and giggling all the time. Smiles make me smile. My cats make me smile. My crazy family makes me smile. And this post made me smile, Robin! Thank you, Merril. 🙂 Cats and family are two great reasons to smile. I think the same about daisies. I’m sure they must be giggling. This is the first time I’ve ever thought of flowers as smiles … and I think that’s a wonderful relationship! This is lovely. Each new flower popping up, especially at this time of year, makes me smile. My dogs make me smile, when they are ‘talking’ to me to tell me they must go out to chase that squirrel right now. Like you, my family makes me smile. And the sun, and the sky, and the birds. The woodpecker always makes me smile. Hi! Nice to see you! 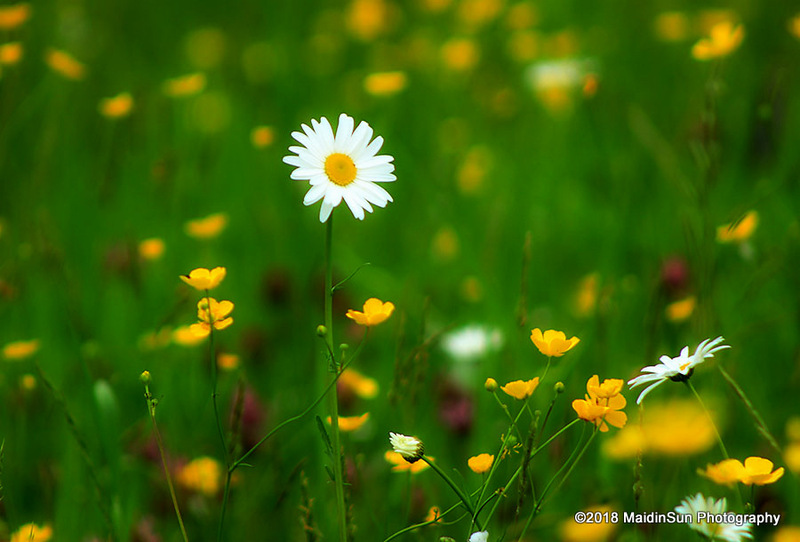 And love, love, love the daisies… of course! I’ve always considered the daisy as a smiley flower. And you’ve just confirmed it, haven’t you? Lovely to see YOUR smiling face here as well. Thanks for sharing your smile! Love the double exposure, Robin. I’ve never tried one. I’ll have to add that to my list of things to try. Thank you, Skip. 🙂 Let me know if you do. I’d love to see how it turns out.